I went through some ups and downs with this skirt. I found the fit a bit weird- the hips are very generous, especially the upper bit of the hip. 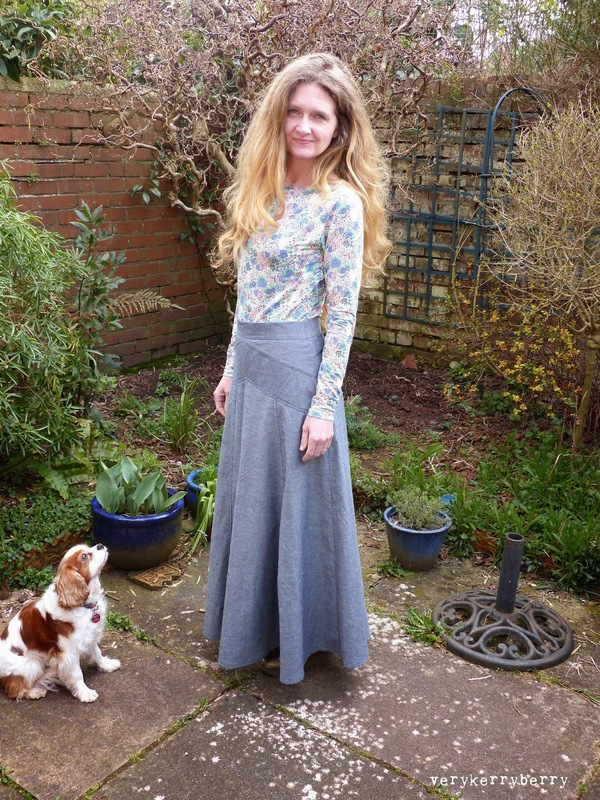 I am a small pear shape- my top half is usually 8-10 and bottom half 10-12 depending on the pattern company and this skirt felt like my waist was one size and hips another. I did make a quick test of the yoke and came out at a size 6 for the hips however, the quilting cotton I used to practice with was a different beast than the drapier chambray and I ended up altering as I want along on the real version, cutting pattern pieces down and taking the side seams in again, and again, and again; especially over the hips. The shaped front is flattering. I may be slim but I have a curved belly rather than flat tummy and this skirt works with that and seems to flow and curve over the body. I wanted the waistband to sit a little lower than my natural waistband as I find that more comfortable and more flattering so my waist area is a larger size than my hip and I have graded a little between the two. 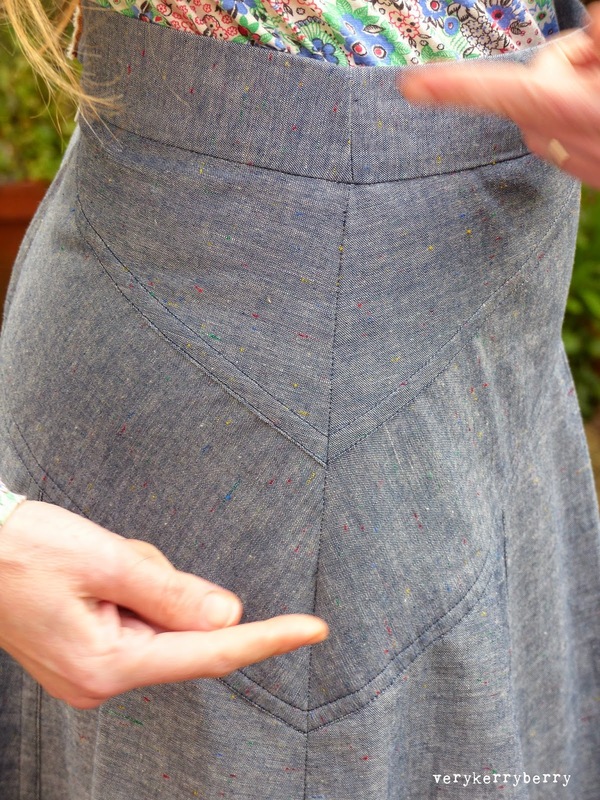 I used flat fell seams on the diagonal yoke pieces and the panel seams as a feature, to add stability to the diagonals and to make a smooth skirt inside and out- no serger threads to run- I have very sensitive skin. I posted a tutorial on Instagram for this ( I am @verykerryberry) but I'll post here soon too. 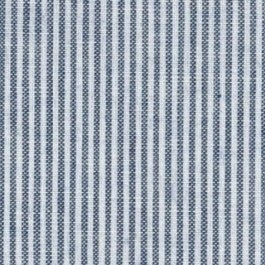 Flat fell seams are usually found on men's shirts and on the side seams of jeans as they are strong and durable. They are not hard, they just need careful top stitching, let's just say the seam ripper is kept busy getting these nice and neat. I felt proud of all my seam alignment, the seam style would emphasis anything that was out of whack so I was extra careful to line up, even through my additional seam alterations, taking in and fitting stages. The waistband was rather upright and gaped a bit so I ended up opening the waistband our and making a small shaped dart on either side of the waistband to reduce the fabric at the top edge by approx ½" on each side. It does still gape a bit and drafting a shaped waistband piece would probably be a better solution. 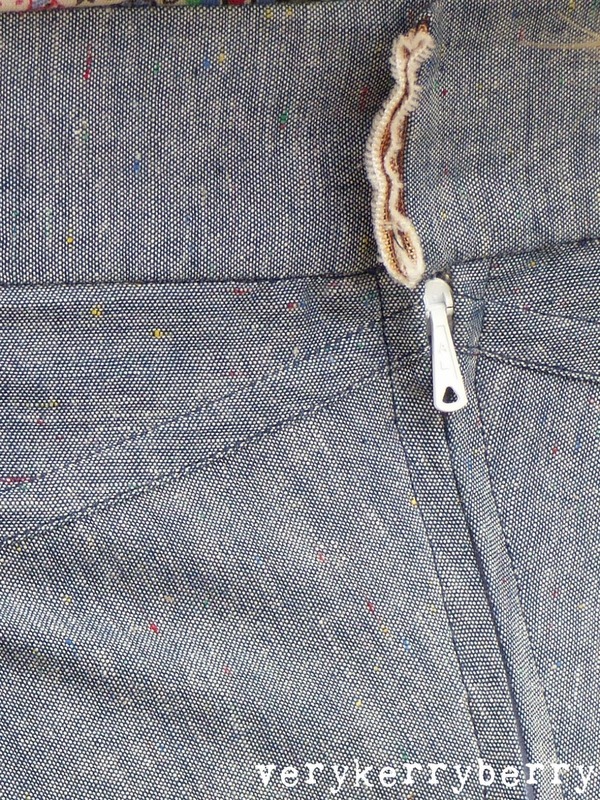 I ummed and ahhed over the back zip and in the end I chose a contrast white as I had one to hand and a small overlap on the waistband using a little of the orange and white fringed selvedge to trim the edge. This tutorial with Janet Pray (you'll find it 17 mins 36 secs into the video) is a great zipper insert tutorial and the method I used. You really get an idea of the quantity of fabric in this skirt. With quite a hefty reduction on the length, I cut the Gabriola out of 3 metres of 60" wide fabric. 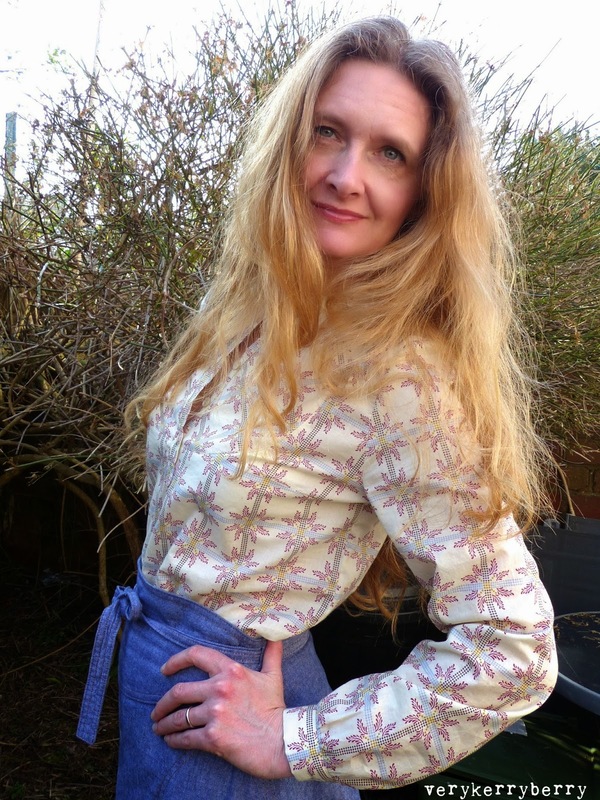 Because the panels are gently flared and the fabric is on the floaty side, the skirt flows as I walk and is a pleasure to wear. I am a strider and a fast walker and this skirt was made for that. 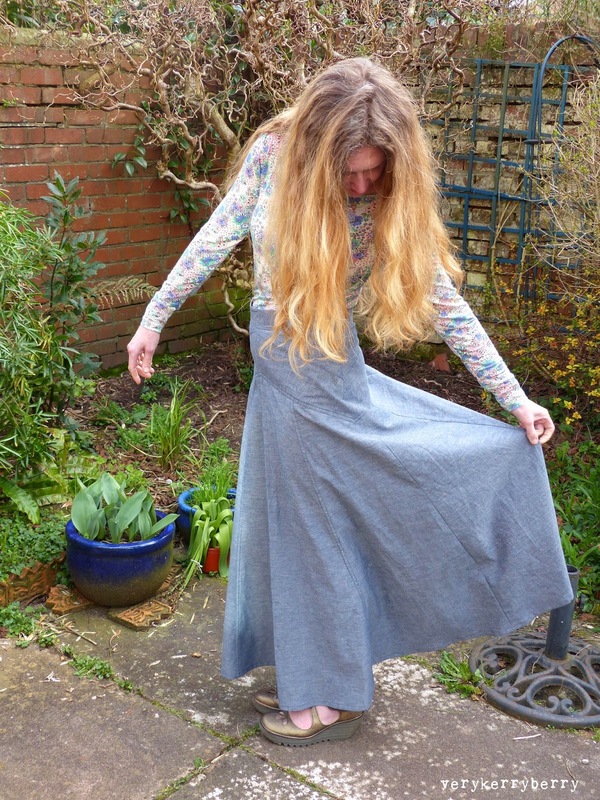 The next one will be so much easier as all the pattern pieces have been altered and tweaked and I have 3 metres of black chambray that would be perfect, even if a little similar to this! I might use a light contrast thread for the next one. My thoughts are turning to Spring and Summer so that is the theme for this month's trip to Eternal Maker. 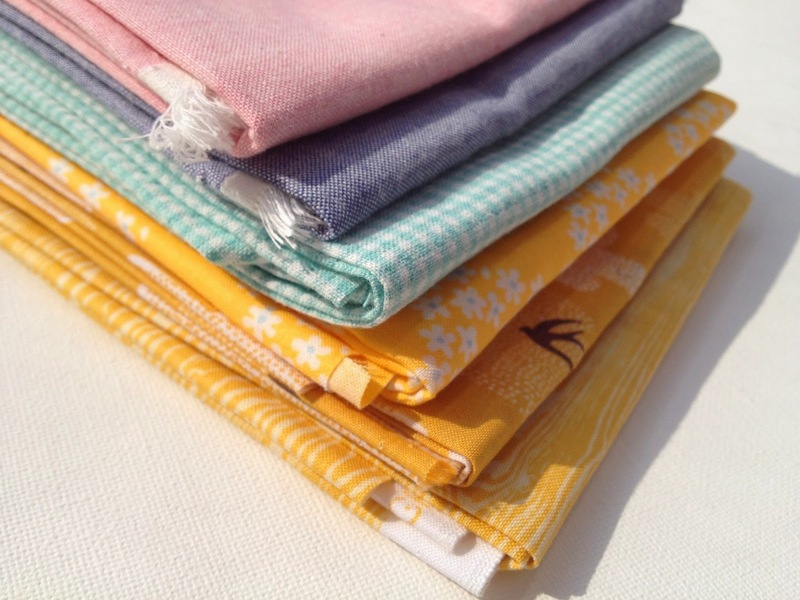 This stack is for a Summer project that I will be working on soon and all these fabrics are from Eternal Maker. 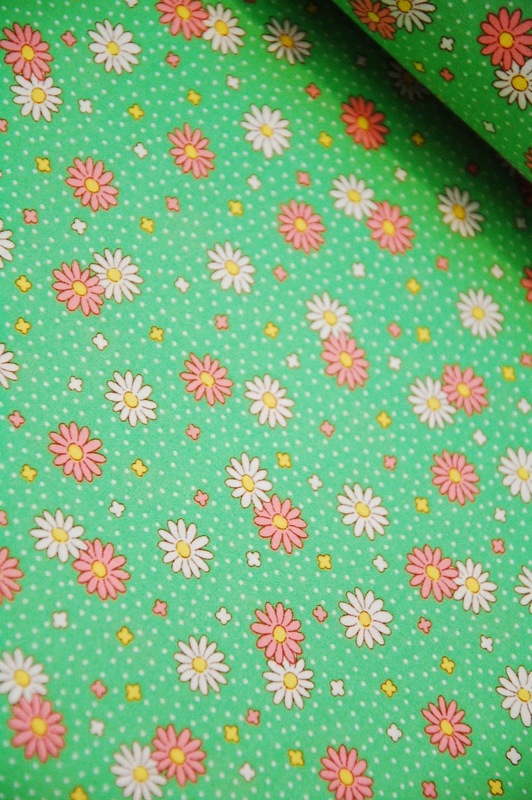 And this green retro daisy from the same collection is gorgeous! 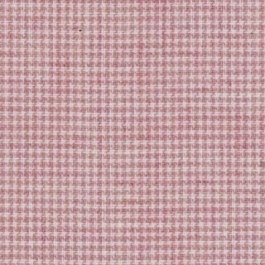 The same roses feature on a range of gingham style backgrounds. 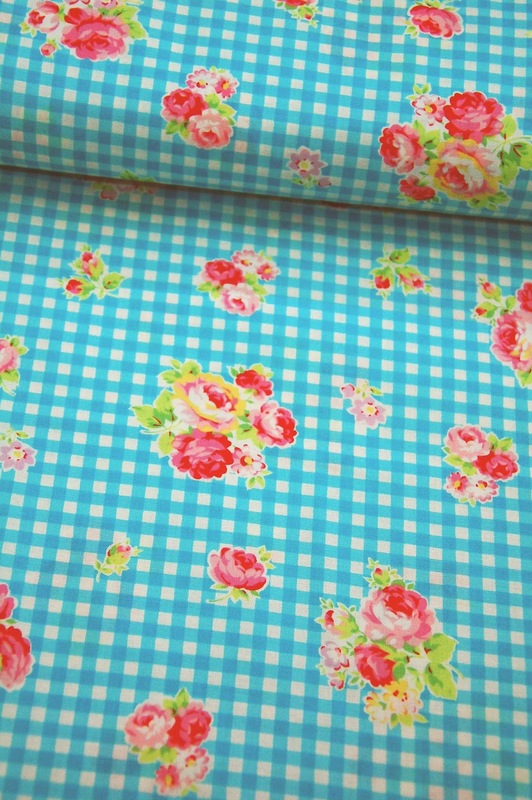 This is the turquoise colour way but there is also red and pink. 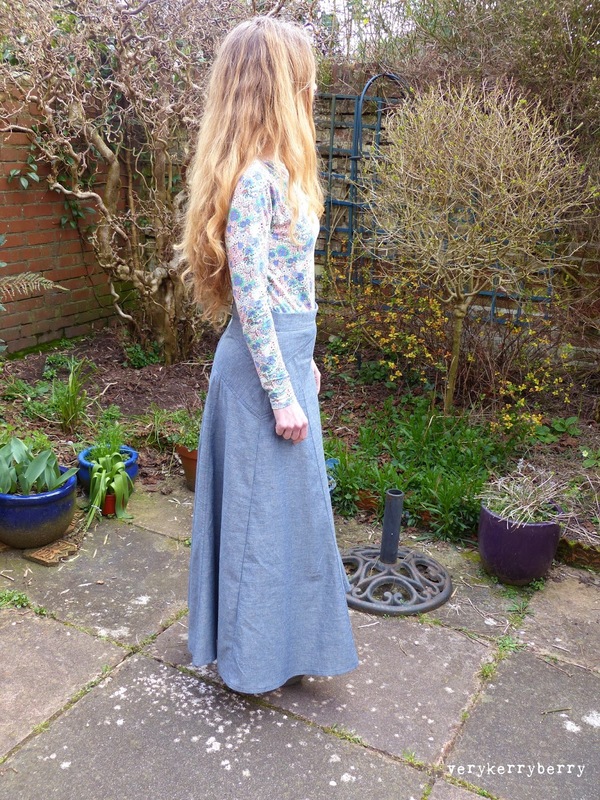 I mentioned recently that thoughts of Spring and better weather had put me in mind of garment sewing. 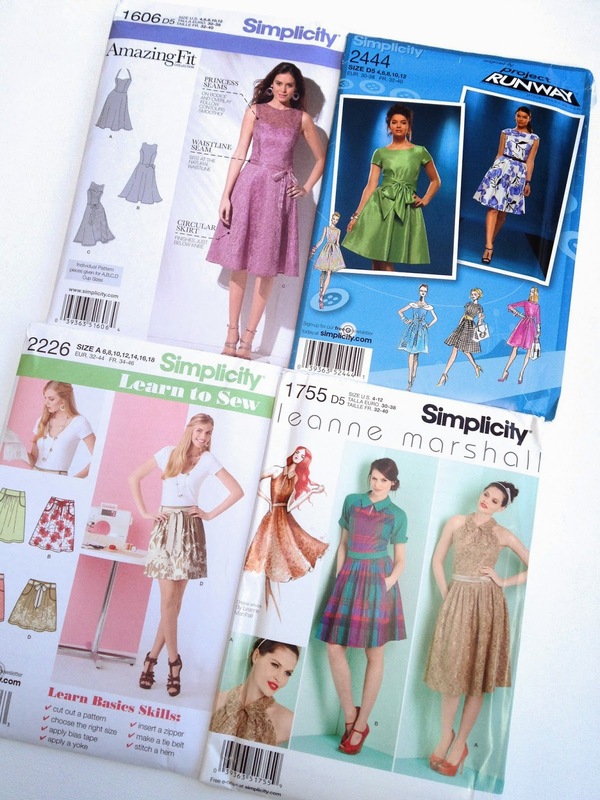 There are a few things going on with dressmaking around the blog world so here is what Ive seen. I had already mentioned the Gabriola sew-along, mid way through at Sewaholic and remember these sew alongs are always there for you to dip into. 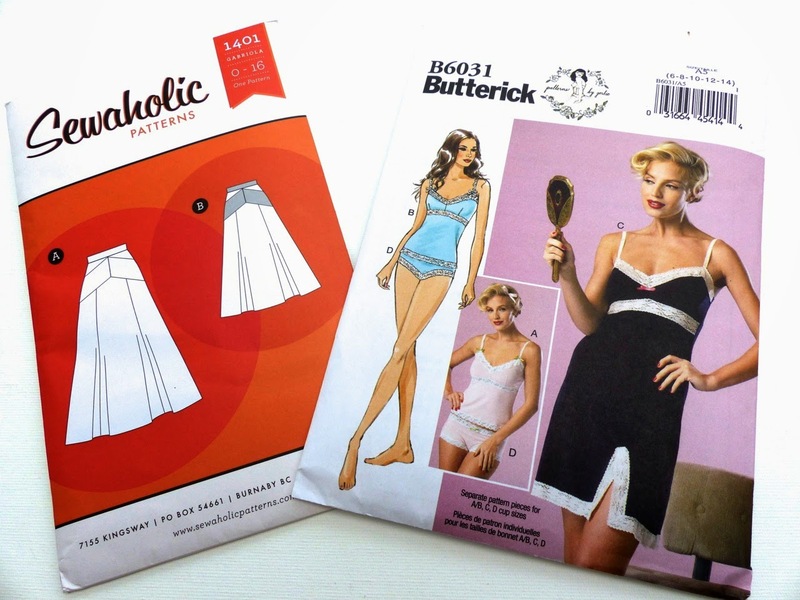 I am also planning to Slip Sew Along with Gertie as I was much taken with her new lingerie pattern for Butterick which comes in different cup sizes (hurray). I bought my pattern here but there are other sellers on Etsy too. 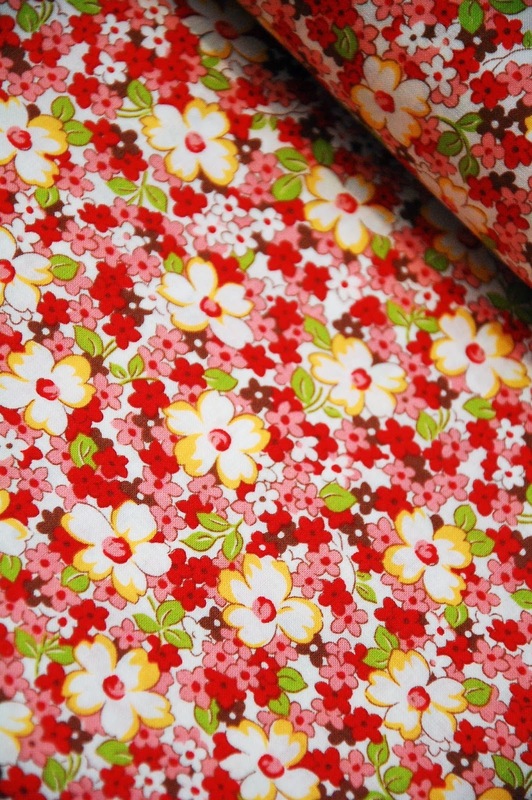 Gertie is currently selling a kit which is priced just under £15 so under the Post Office £15 import limit and contains all the fabric and findings supplies to make at least a slip and knicks. Check her shop as they do seem to move out of it rather fast. Similar UK lingerie supplies can be found here and here. If you aren't familiar with Kickstarter, it is a funding platform for new creative businesses. It is a great way to launch a new idea, state the funding you need and what you need it for and you then have a limited time period to achieve it. If you fail to make the target in the time period, no money is taken. 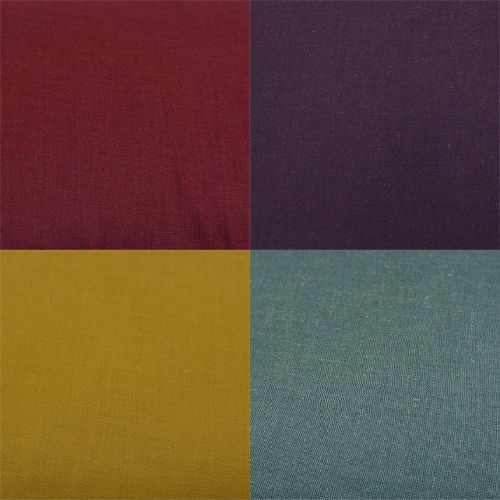 Businesses offers different amounts and rewards for pledging- for example, you can pledge just £10 and in addition to supporting the project you will receive a By Hand London Tote Bag, for £50 you get to print and have sent to you 2 metres of fabric from their fabric gallery before the project goes live. Each pledge has a delivery date so you know when this will happen. Kickstarter is an amazing organisation. For the cost of a coffee and a cake you can help a fledgling business get its new idea off the ground. You can support local or international and your donation does not have to be big. By Hand London have proved themselves to be pretty industrious in a short time- with seven sewing patterns and an app developed in a relatively short space of time, they could be just the right people to change the world of online, on demand fabric printing in the UK! As the seasons change and I can think of a time when I won't be wearing a cashmere cardigan and boots, my creative activities always turn to dress making. 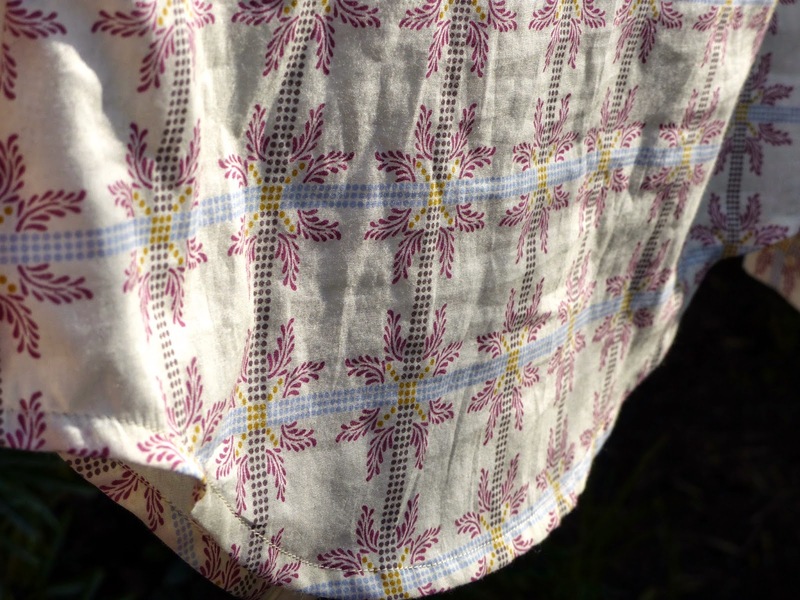 I am a sucker for anything with a yoke- skirts, trousers, shirts so when I saw this pattern had just been released by Pauline Alice- a PDF print out pattern at only 8 Euro, I bought it straightaway- the perfect fit for this Little Folks voile on sale at Patch Fabrics. The style reminded me strongly of the Tova but with a few style and fit differences. There are bust darts which I am guessing are cut for a B cup as I found the fit was only slightly generous ( I am an A). If you are larger than a B cup, a full bust adjustment would probably be a good idea. 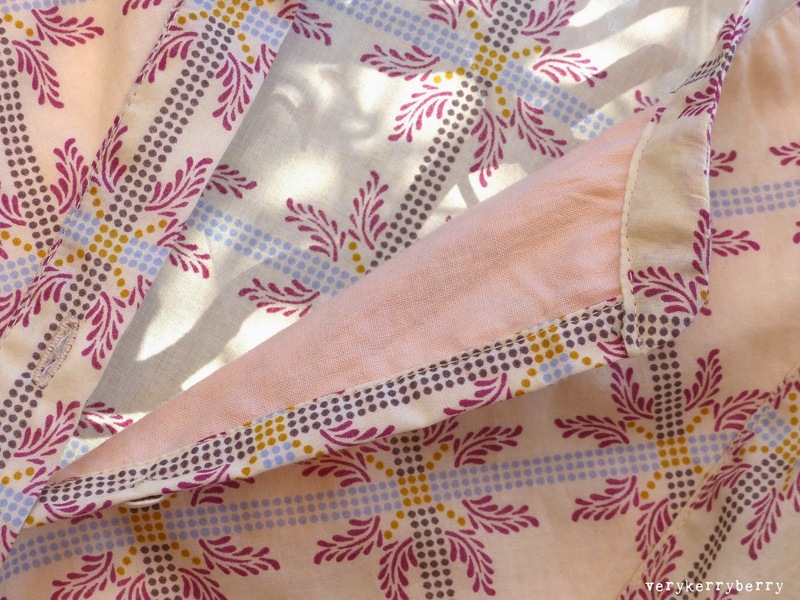 The front yoke bib panel is rounded rather than square and also has an easy pin tuck option- you would sew pin tucks in a rectangle of fabric and then cut the bib section from this. 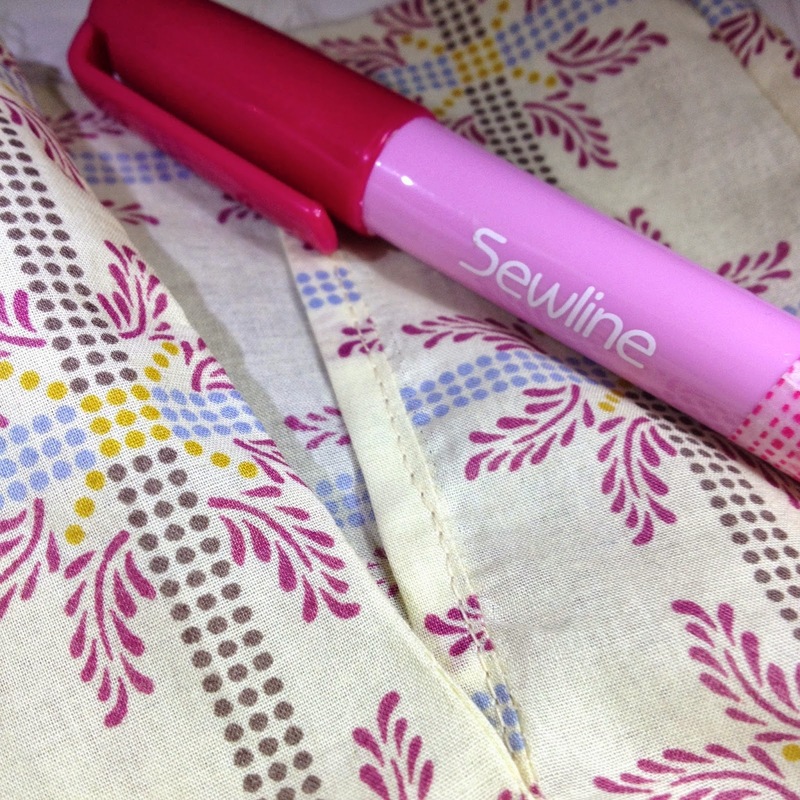 The sleeve and cuff is slightly more complex on the Carme and includes a sleeve vent. The yoke is attached to the body using a really straightforward technique- I know this was a tricky area for many Tova sew-along sewers! I cut the bib section on the bias to make the most of the grid pattern and interlined this with some lightweight cotton. 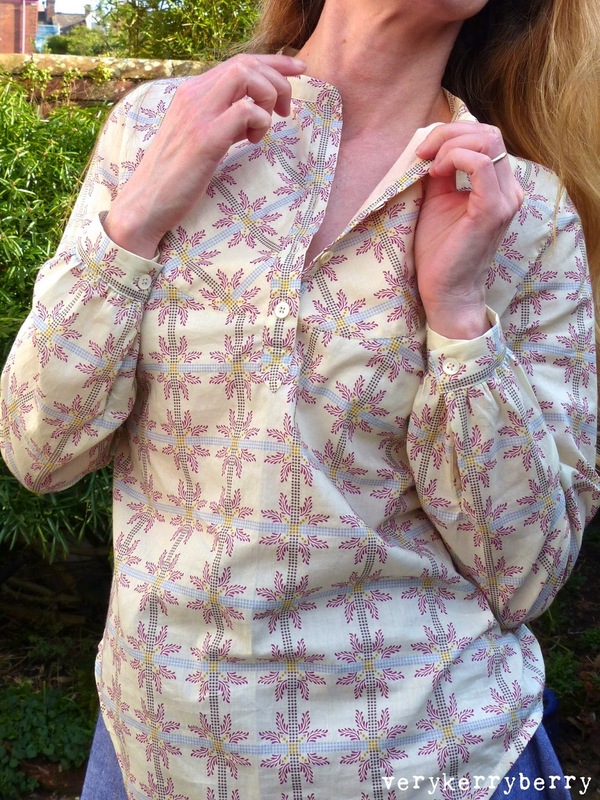 I also lowered the collar a little and also lowered the placket opening- around an inch. Sleeve vents are a little fiddly especially with slippy voile but I did find a little Sewline glue helped hold fabric in places too small for pins. The shaped hem is a nice touch- it dips front and back. I shortened the length by 1 ½" on the lengthen/shorten line on the front and back main sections. I have adjusted this for next time so it will be shortened by ¾"
I will lengthen the sleeves on the next one by ¾" so they fall a little lower at the wrist. I used under 1.5m of 1.5m wide fabric for size 36 I cut although I used less fabric for the bib because I omitted the tucks. 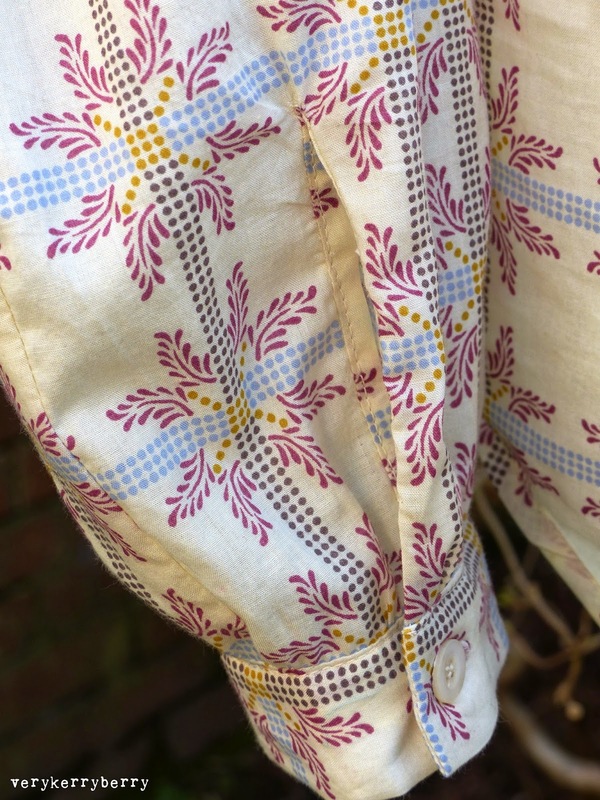 I really enjoyed this pattern and after measuring the pattern pieces and comparing them with favourites like the Tova, I was confident enough to make it without a test version. Pauline is running a Carme Sewalong on her website and each stage has its own youtube video which is so helpful if you felt tempted to make one too. Blouses (don't like that word) or shirts (prefer that word) like this are a wardrobe staple for me so I am already thinking ahead to the next couple of these. 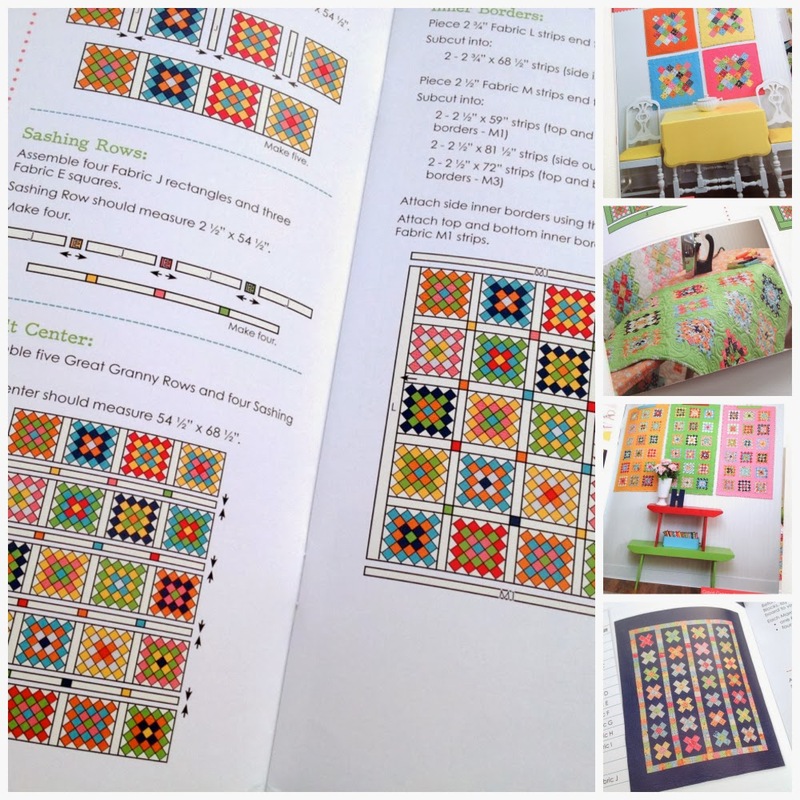 Pauline Alice is a relatively new pattern designer but she already has four different styles available. 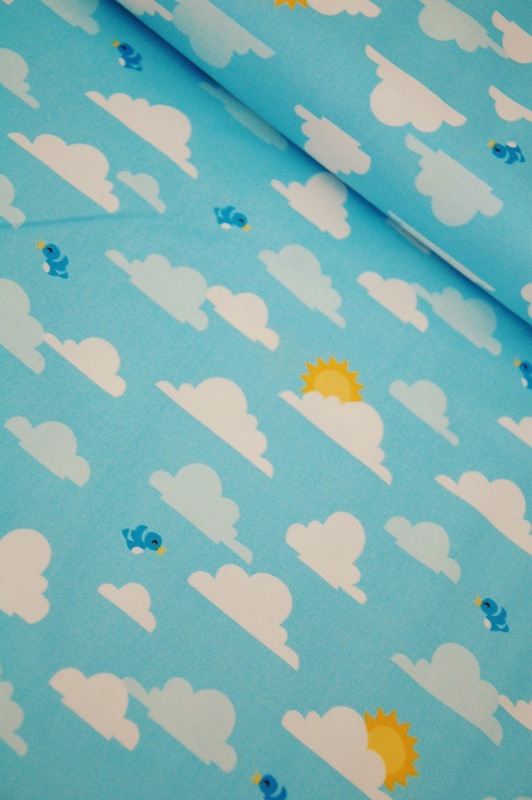 The Cami dress is next on my list as I prefer a fitted style and this looks really cute, at the moment though, there is a queue of patterns and dressmaking so it may have to wait…two quilts are calling, a pillow project and a bit of planning for future idea await. The Great Granny Winner was comment 158, Hannah! I have sent you an email Hannah, congrats! 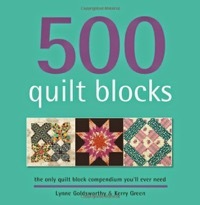 Thankyou to everyone else taking part, it was a popular giveaway which I am guessing partly reflects the availability of the book outside the USA and also that Lori writes great books and creates wonderful quilts. 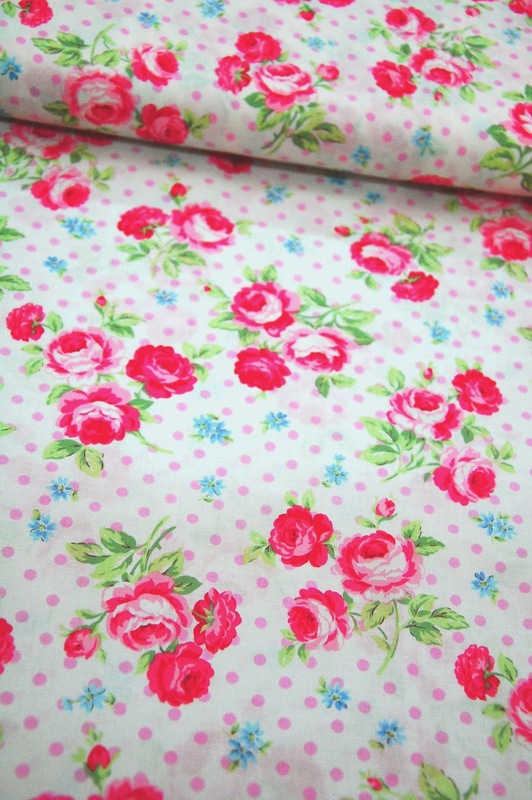 As the weather has warmed up in the UK and the sun has actually shone, my sewing thoughts have gone straight to dressmaking so my visit to Village Haberdashery this month has that at the forefront of my mind. 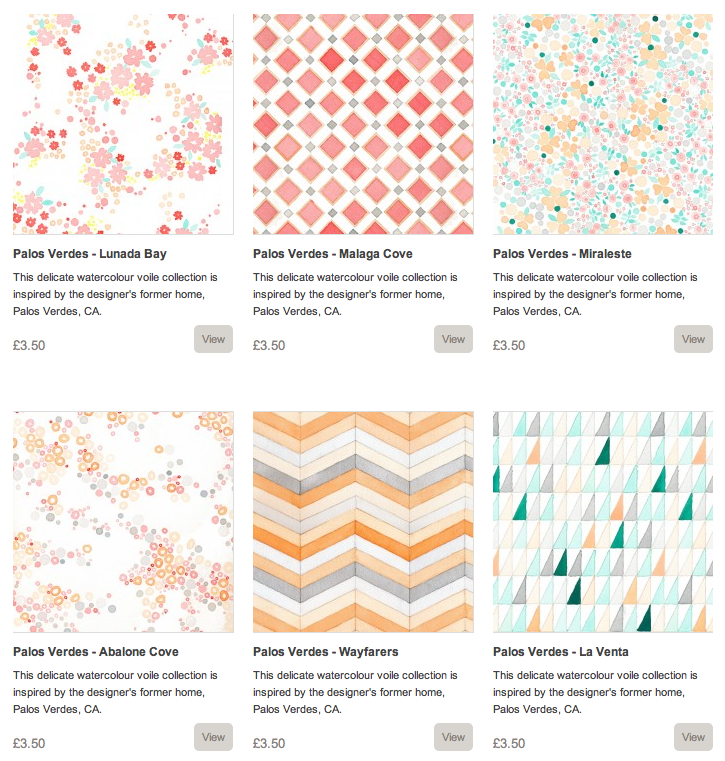 Starting with this delicious Palos Verde voile collection from Cloud 9. 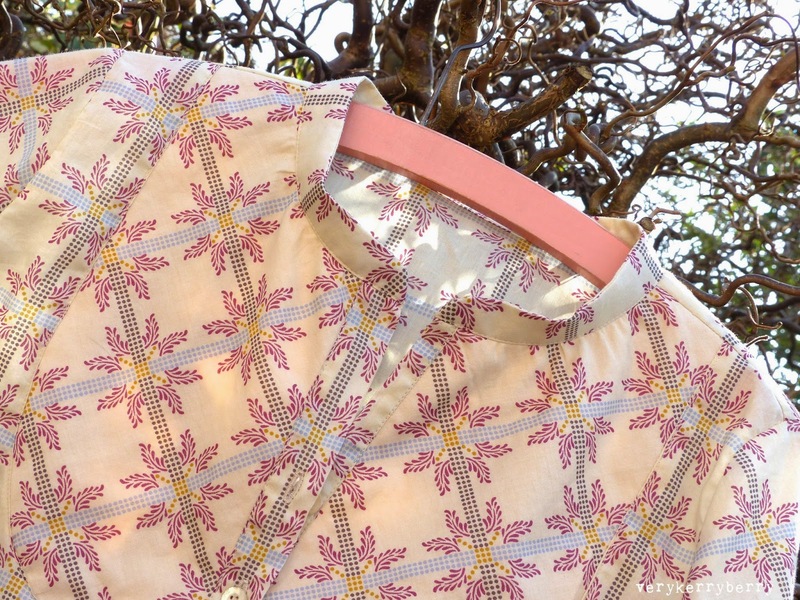 As part of the promo for these voiles, Cloud 9 had a Sew Mama Sew blouse series where you can see the fabrics made into a variety of tops by different sewing bloggers. 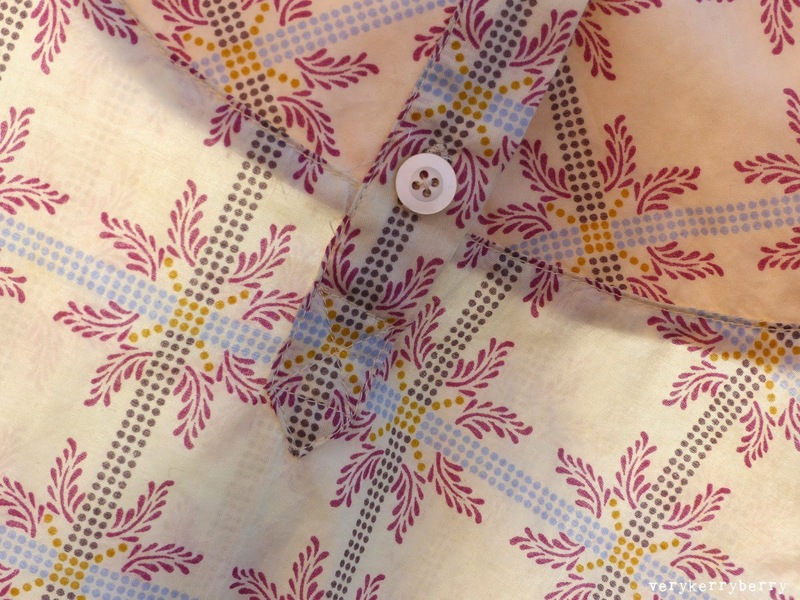 It is a great way of seeing the prints in action and also spotting some great top patterns. They are light and floaty (dresses/skirts would need lining). I already have a couple of metres of Lunada Bay. These voiles are 44" wide rather than the 54" Anna Maria Horner voiles- just thought I'd mention that. 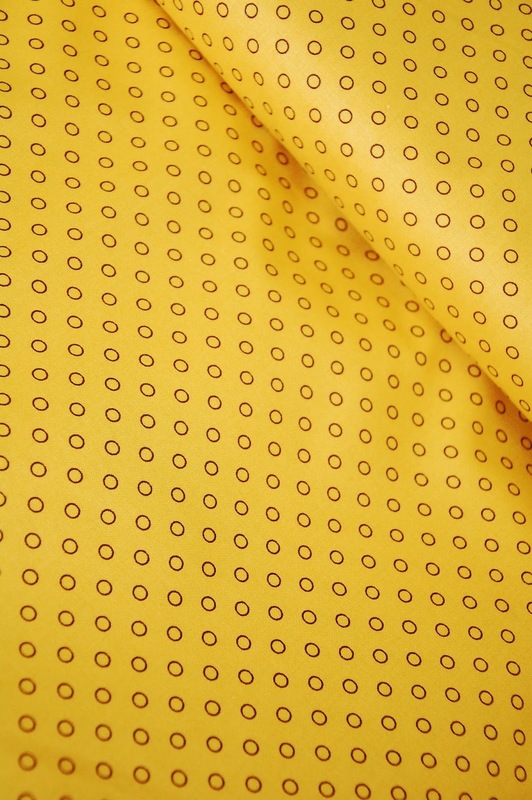 For me 2 metres is enough for a long sleeve shirt/blouse if the pattern is multi directional. 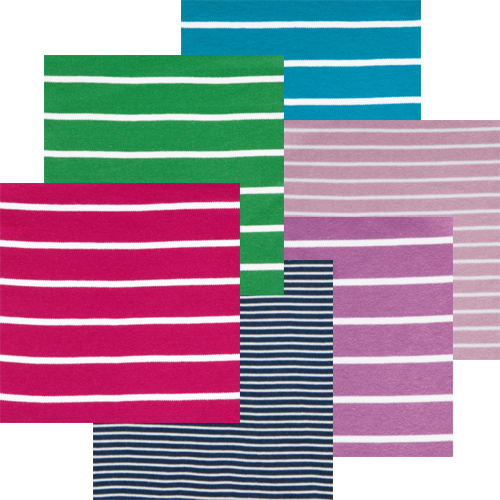 Also ready for garments is this great collection of striped cotton interlock knits. Interlock is a more stable form of knit/jersey fabric. It is stretchy but lies flatter and is easier to control than very stretchy knits. Isn't the colour range on those stripes fantastic! I would be happy with any of these! 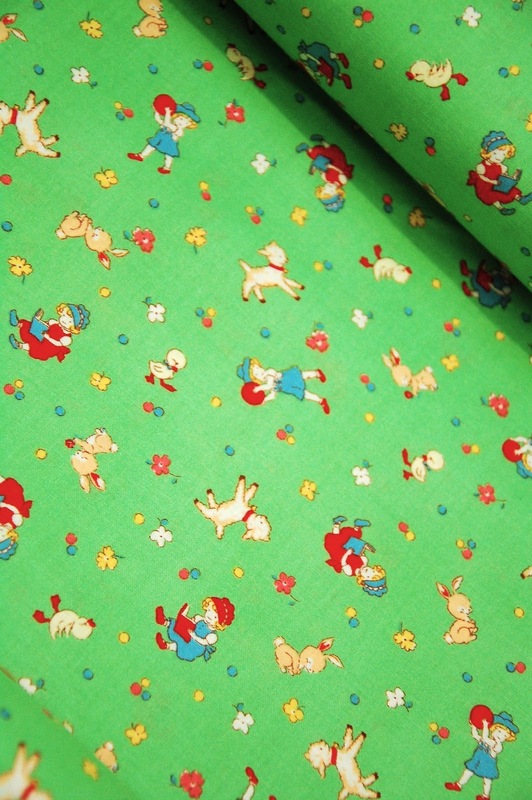 They are organic and 160cm wide so you get a lot of quality fabric for your £s. They are also available in solid colours. 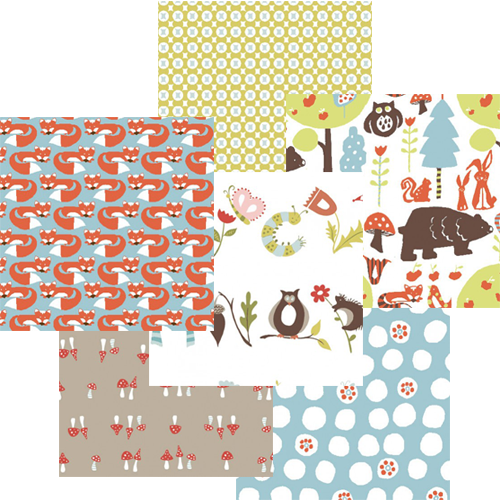 If you crave pattern on your jersey fabrics, there are a couple of great ranges, but beware- some prints have already gone in these Woodland knits. And these Raga knit jerseys have a lovely warm weather palette- these are 44" wide as are the woodland knits, so consult your knit pattern to check how much you need. 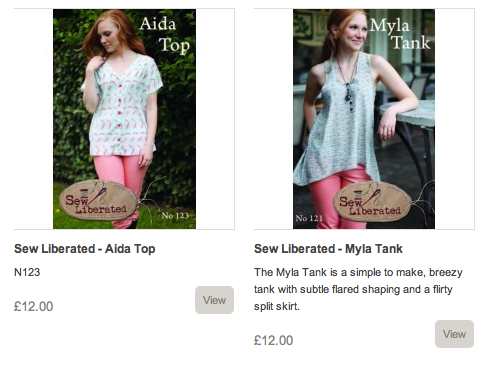 If you want to make tops, consider for wovens The Aida and Myla Tank- new Sew Liberated patterns and both easy construction. You can see more pics of these here on Annie's blog. 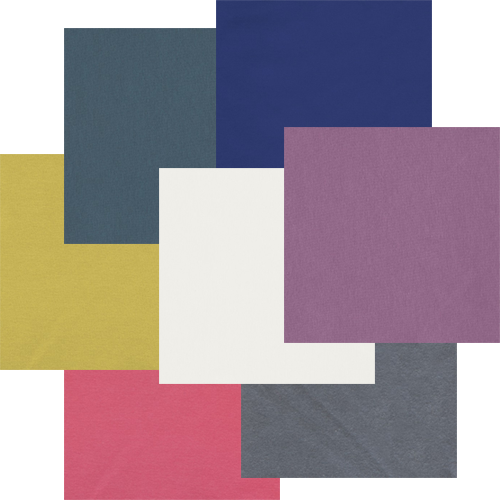 I have mentioned double gauze in many of my monthly sponsor posts so you won't be surprised that I have picked these solid double gauze Japanese fabrics in a beautiful range of highly wearable shades. 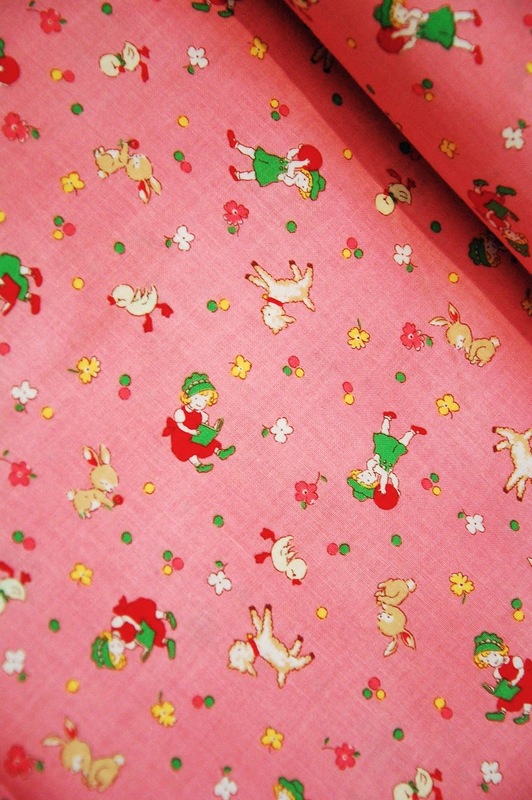 Also good for children's clothes and simple blankets, scarves as well, of course, as dressmaking. 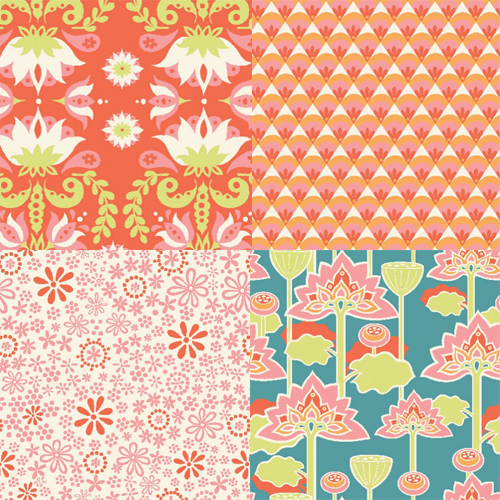 And there are patterns galore being released at the moment from the best indie designers. ' 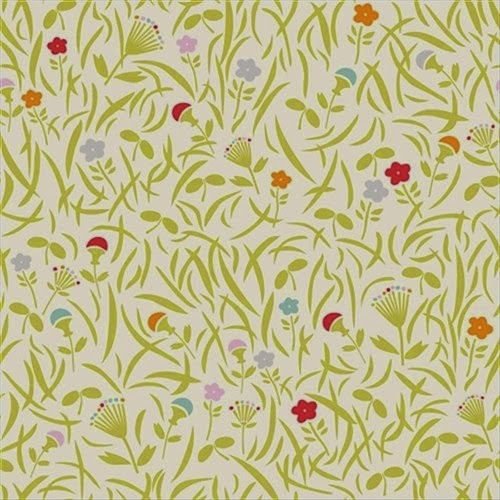 Flora' from By Hand London. This has two bodice variations- tank bodice full front and a lower cross over/wrap effect. 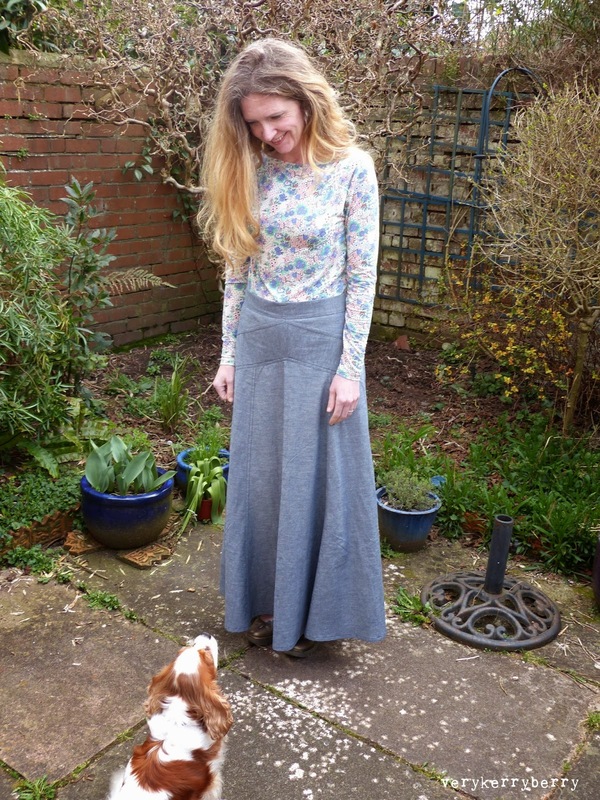 And there are two hem options, the hi lo with dipped back or a more standard length all the way round and a sew-along is coming on the By Hand London website. I have read that this dress is best made from wide fabric (54") due to the way the skirt is cut- something to consider when you buy the fabric. 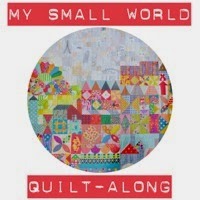 Also out is Gabriola by Tasia of Sewaholic. I am just finishing one of these. 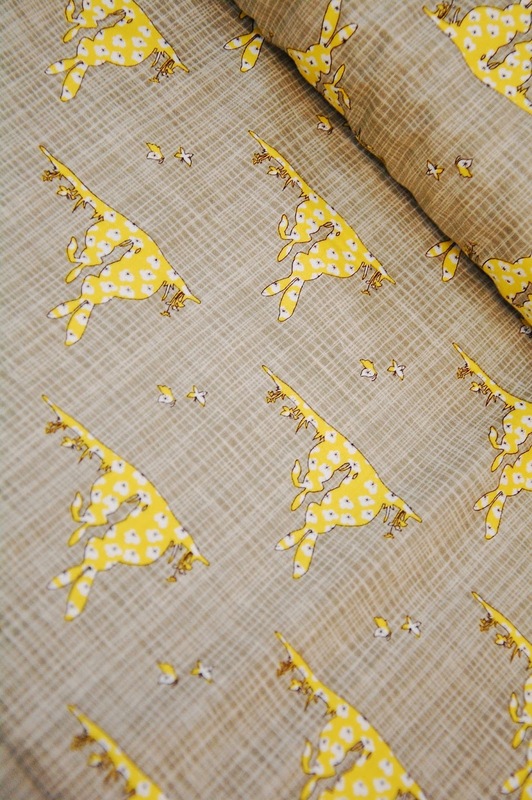 It does use a tonne of fabric. 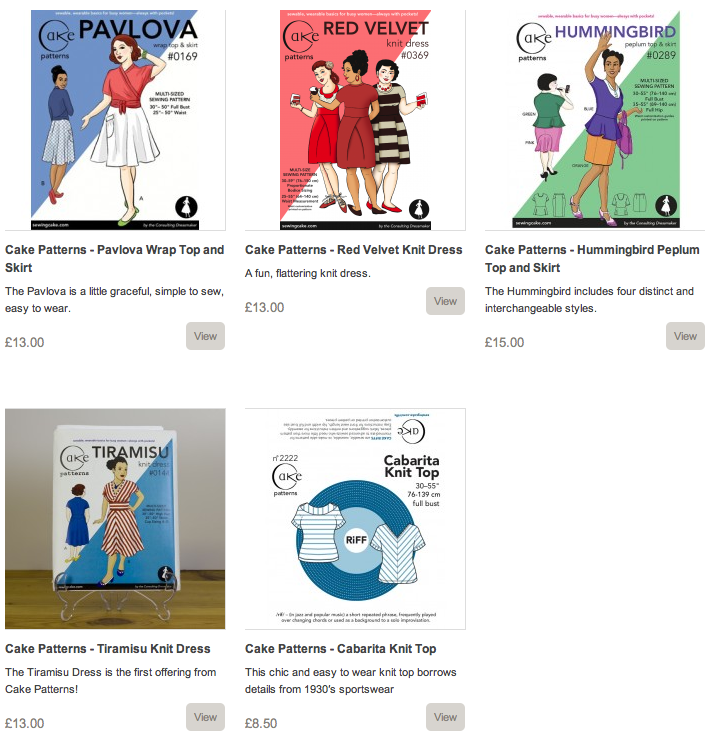 The sew along has started and there is a very handy post if you are between sizes and want to grade sizes on your patterns. You need to fit to your waist initially but I found my waist was size 6 and my hips were size 4. I consider myself pear shaped but the hip cut is very generous on this. It is also very long. I am 5' 5" and I cut the shortest length line and have removed 3.5" to get the hem on my ankle- didn't want it on the floor, I fall over going down stairs! I hope you enjoyed that little trip. It has left me wanting to make even more! 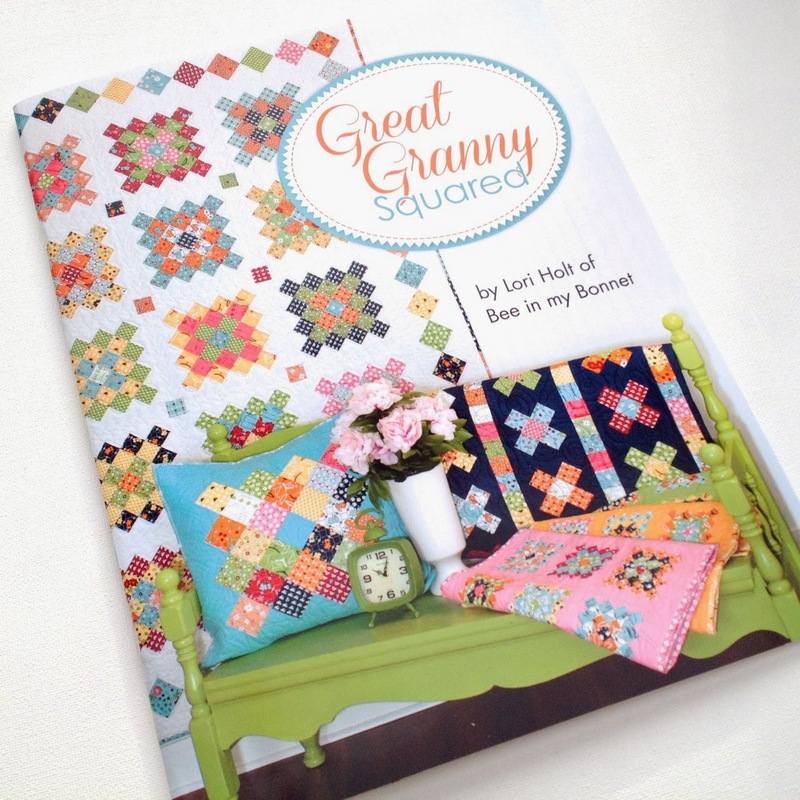 Hot on the heels of Quilty Fun, the lovely Lori Holt has also managed to produce Great Granny Squared, published by Sew Emma, the publishing arm of the Fat Quarter shop. Kimberly has been kind enough to send me two copies so here are some of my favourite pics from the booklet and I have another copy right next to me now waiting to be claimed- see the giveaway at the bottom. 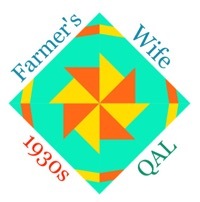 Beatiful pictures, clear instructions and diagrams and as ever, wherever Lori is involved, there is quilt and vintage eye candy. 3. Extra entry if you are in a country UK or Europe outside USA as these books cost a lot to order from USA so I wanted to up your chances! Comment and mention your country. Make sure that I can contact you or leave your email like this - kerrykit (at) yahoo (dot) co (dot) uk - to prevent spam problems. Open to all wherever you are. I will draw an entry randomly next this time next week- good luck!